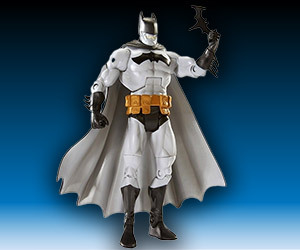 This terrific collectible figure shows Batman's doppelganger, Batzarro, in all his glory. With an upside down Bat logo and spiked cape. Add one to your collection.